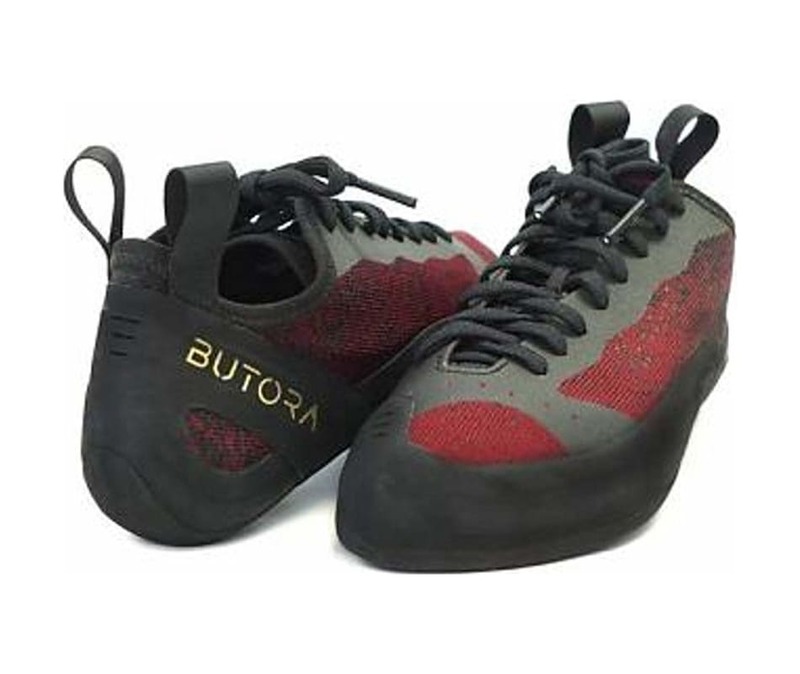 The Butora Advance is an all-purpose, all around climbing shoe, for both long gym sessions and long multiple pitch afternoons at the crag. This intro shoe has so many bells and whistles that even the pros will have a pair for their long training sessions. In many cases a shoe at this price point sacrifices quality, the Advance doesn't follow suit; it is a comfortable performer at a great price. 4.0 mm Neo Rubber that gives you a soft friction you can trust. Asymmetrical shape to compliment the true shape of the human foot for comfort and performance. Full length ABS mid-sole to maintain structural integrity, and add to performance on small edges. Knit upper, for breathability, comfort on the skin, a light feel, and outstanding durability. Micro fiber lining for comfort, treated with an anti-microbial spray to reduce odor for up to six months. Polyurethane strip extended over the toe box to maintain the shape of the shoe over time.